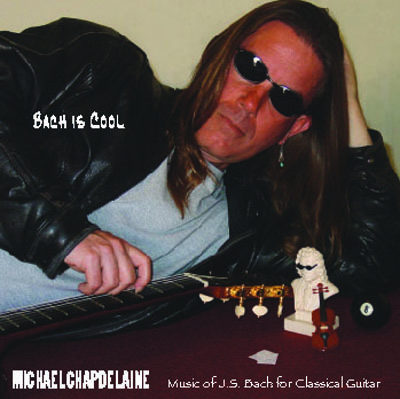 Michael Chapdelaine is the only guitarist ever to win First Prize in the world's top competitions in both the Classical and Fingerstyle genres; the Guitar Foundation of America International Classical Guitar Competition and the National Fingerstyle Championships at the Walnut Valley Bluegrass Festival in Winfield , Kansas. From New York's Lincoln Center to the Cactus Cafe in Austin, from Milano to Bangkok, Michael continues to enchant, dazzle and surprise audiences and critics alike as he redefines the modern acoustic guitar with his amazing technique, "soulful" expressiveness, and versatility as a performer, composer and arranger/producer. His performances, played on both steel string and classical guitars, include musical styles ranging from blues to Bach to country to rhythm n' blues as he wins his audiences hearts with breath taking technique and the poetic magic of his original musical portraits and landscapes. In the 80's and 90's Michael proved himself to be one of the world's finest classical guitarists; twice winning the coveted National Endowment for the Arts Solo Recitalist Grant, and taking First Prize in both the Guitar Foundation of America's and the Music Teachers National Association's Guitar Competitions. He also won the Silver Medal in Venezuela's VIII Concurso International de Guitarra "Alirio Diaz". He has toured four continents while giving hundreds of performances for Affiliate Artists Inc., and various arts promotion organizations.